Visiting Nurse Association of Ohio understands that recovering from an illness or recuperating from surgery can be frightening for the patient and their family. When that patient has vision loss, those anxieties are compounded. Wendy Fishman, director of rehabilitation services at VNA of Ohio, said the needs of patients with vision loss traditionally have been underserved throughout the home care industry. VNA of Ohio is filling the gap by establishing protocols to identify patients with vision impairments and help mitigate the dangers they face at home. When VNA of Ohio nurses and therapists conduct initial assessments of their patients, they often uncover vision issues that previously may have gone unnoticed, Fishman said. Often, the patients themselves do not realize they have vision loss. 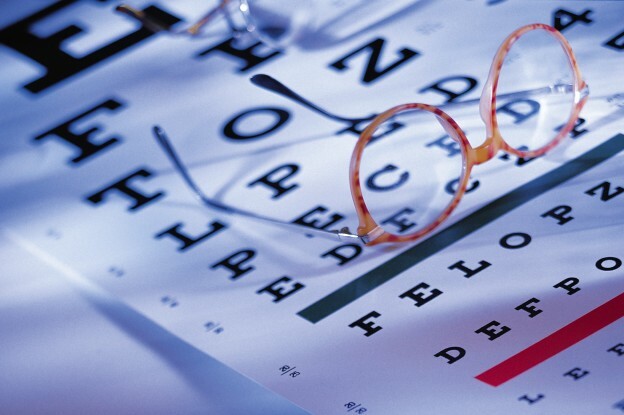 Vision loss is common amongst older patients, but it can affect people of all ages through conditions such as macular degeneration, advanced diabetic retinopathy, glaucoma and congenital conditions. Vision loss isn’t the same for everyone. 1. The inability to clearly see small print. 2. A sensitivity to light glare and an associated inability to detect contrast. 3. A lack of peripheral vision. 4. Impairment that affects the central visual field. 5. Uncontrolled eye movement that causes double vision. Many patients struggle with a combination of these impairments, and there is no single solution that works for every case. But patients with vision loss have one thing in common: They are at risk for injury from falls, medication mistakes and more. Once VNA of Ohio clinicians recognize that their patients’ are dealing with vision loss, they develop a strategy aimed at keeping those patients safe. For patients who are unable to detect the contrast between two surfaces, VNA of Ohio therapists might place brightly colored tape at the edges of steps or in areas where two different types of flooring meet, Fishman said. For patients who have difficulty reading small print and seeing images on TV, therapists often recommend specialized equipment, including magnifiers to aid with reading small print on medication bottles. VNA of Ohio therapists identify ways to make the home easier to navigate for the patient with vision loss. In many cases, the key is organization – making sure the toothpaste is not stored next to a similarly shaped tube of medicated ointment, for example. As in any home care setting, it is important to eliminate clutter and remove obstacles from pathways to ensure patients’ safety, she said. VNA of Ohio therapists also might help a patient with vision loss to connect with other resources and organizations, including the Cleveland Sight Center.